The smart choice for any serious antioxidant skincare routine, brimming with natural fruit extracts, this concentrated protective cleanser repairs, brightens and perfects skin texture while gently removing dirt, pollution and excess oil without stripping skin’s natural lipid barrier. Powerful anti-aging antioxidants, Kakadu Plum Fruit Ferment, Resveratrol, Licorice Root Extract and Bilberry Extract brighten and provide excellent antioxidant protection. Wrinkle-repairing peptides including Niacinamide renew and perfect skin texture helping to prevent and reduce hyperpigmentation while smoothing fine lines. Aloe Barbadensis, Green Tea Extract , Chamomile and Willow Bark extracts naturally reduce inflammation, preventing premature aging while reducing redness. 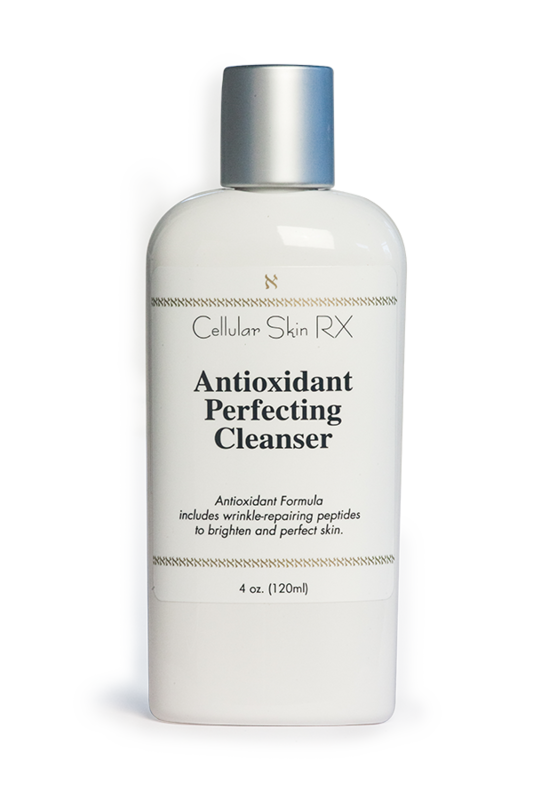 Antioxidant Perfecting Cleanser leaves your skin feeling soft and fresh with a poreless finish. We recommend using Antioxidant Perfecting Toner after cleansing. Follow with vitamin C+ Firming serum, F*a*C*E Synergy serum or CSRx Antioxidant Defense Complex to complete your antioxidant skincare routine and to achieve the ultimate in antioxidant protection. Use a quarter-size amount on moist face. Gently work into lather. Rinse with lukewarm water. Follow with Antioxidant Perfecting Toner and an antioxidant serum (vitamin C+ Firming or F*a*C*E Synergy serums) or complex (CSRx Antioxidant Defense Complex) for complete protection against free radical damage. Add CSRx Polishing Grains to your Antioxidant Perfecting Cleanser to exfoliate away dead dry skin. Always rinse with lukewarm – not hot – water so that your lipid barrier is maintained, especially important during cold weather. The cleanser is concentrated so a small amount goes a long way. Each bottle should last about 4 months.